The term “light” in physics is sometimes a reference to electromagnetic emission of any frequency range — whether visible or not. The Hindu schools of Samkhya and Vaisheshika, from about the 6 – 5 century BC, postulated on light that light is one of the five fundamental elements, referred to as ‘tanmatra’ of which derive the gross elements. During the 5th century BC, Empedocles theorized that the matter comprised of four elements: air, fire, earth and water. He maintained that Aphrodite had created the human eye from among the four elements and when she lit the fire in the eye that sparked out of the eye enabling the sight to function. If this account were true, then one could also see through night as well as during the day, so Empedocles came to the phenomenon of sight as an interaction between rays from the eyes and rays from a source such as the sun. 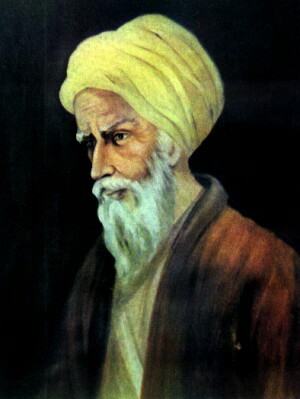 Ibn al-Haytham (965–1040), the Muslim scientist, known as Alhazen in the West, developed a comprehensive theory of vision to be explained on the basis of geometry and anatomy in his Book of Optics (1021). Ibn al-Haytham described the first correct description of the function of vision, maintaining that it was not due to the things being seen by emission of light from the eyes, as Euclid and Ptolemy had held, rather due to beam of light pouring into the eyes. Ibn al-Haytham had actually depicted particle nature of light in his Optics. He held light rays to be a continuous stream of tiny energy particles emanating in straight lines at a finite speed. He describes in his optics that ‘the smallest parts of light’, as he mentions them, ‘preserve solely the traits’ to be explained by geometrical means and verified through practical experiment — they don’t possess all material properties except energy. Around 1660s, Robert Hooke publicized his theory pertaining wave nature of light. Christiaan Huygens had also postulated independently his own wave theory of light in 1678, contained in his Treatise on light in 1690. He propounded that light emitted in every direction as a progression of waves in a medium called the Luminiferous ether. Since waves are not influenced by gravity, it was assumed that they would experience retardation in their propagation upon entering a denser medium. Michael Faraday in 1845 learned that the plane of polarization of linearly polarized light rotates when the light rays move in the direction of magnetic field in the presence of a transparent dielectric, an impact identified as ‘Faraday Rotation’. It was the first proof that light had something to do with electromagnetism. The sensory realization of light is attached great importance in spirituality. The presence of light is an all time sign of good and evil, knowledge and ignorance, and the like. This idea can be traced in both Eastern and Western mysticism!